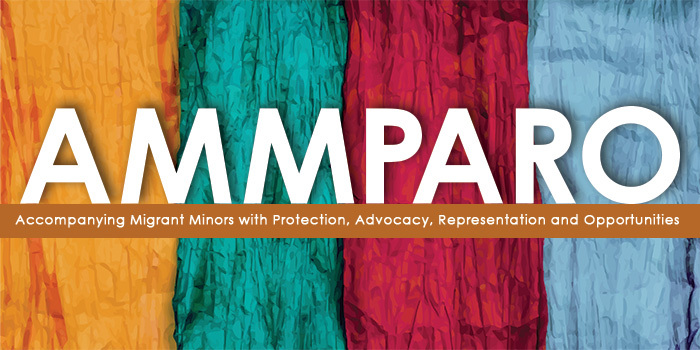 At the Oregon Synod Assembly we learned about "AMMPARO", a ministry for immigrant children. The word "amparo" in Spanish means the protection of a living creature from suffering or damage. 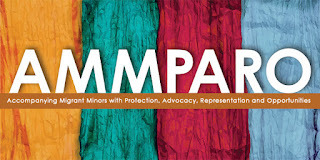 The ELCA's strategy to Accompanying Migrant Minors with Protection, Advocacy, Representation and Opportunities (AMMPARO) was envisioned after witnessing the plight of children who are forced to flee their communities because of complex and interrelated reasons, including chronic violence, poverty, environmental displacement and lack of opportunities in El Salvador, Honduras and Guatemala. Due to our connection to companion churches in the region, including companion synod relationships, and existing ministries in the U.S., the ELCA is well-positioned to help ensure that these vulnerable children are protected. As brothers and sisters in Christ, the ELCA is called to bear witness to the conditions affecting so many communities and to work to find solutions that will acknowledge the humanity in all of God's children. Join us in making a difference in the lives of vulnerable children and families. is registering now for fall 2017 enrollment. Please email KOK: kokpreschool at gmail dot com with any questions you may have or to enroll. Now is a good time to sort your gently used and clean unwanted items aside to donate to the rummage sale. Items can be brought to SOV beginning July 10th.